Spring… a time for renewal, rebirth and growth. Everything about spring seems to contradict all of my preconceived opinions of hospice care. But after researching my latest story for Celebrate Gettysburg magazine, and meeting some of the most compassionate people on earth (really! ), I have a new opinion and reoriented beliefs about hospice care. Springtime truly is the perfect time to read about hospice care–celebrating quality of life, honoring life’s journey, and touching lives. Click here to read At the Crossroads, featured in the March/April issue of Celebrate Gettysburg magazine. Also – read about patients’ “last wishes, goals and dreams” in Honoring Hospice Patients’ Last Requests… and click here for Residential Hospice Care Options featuring a one-of-a-kind facility located in Harrisburg. Both articles are exclusive online articles found on the magazine’s blog. 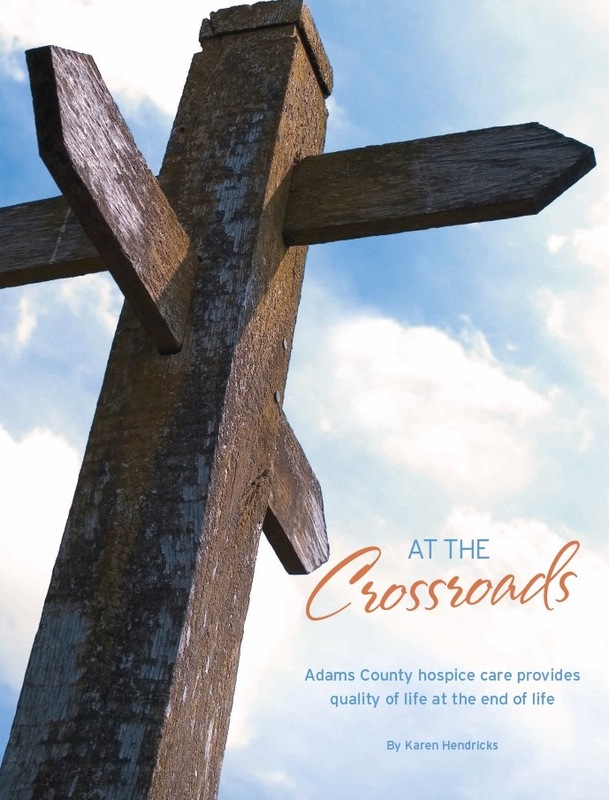 Just as spring is a time for renewal, I hope these articles provide new insight into the incredible, life-changing, caring services provided by hospice. This entry was posted in Freelance Writing and tagged Celebrate Gettysburg, Central PA, end of life, hospice care, life journey, Lutheran Hospice, quality of life by Karen Hendricks. Bookmark the permalink.